As soon as Apple lifted the embargo on third-party USB-C to Lightning cables, Belkin made headlines at CES 2019 with a Made for iPhone (MFi)-certified family of new Boost Charge cords. But while promising top-notch durability and strength, as well as looking quite fetching in black and white speckled designs, these were merely scheduled for a vague spring commercial release. Their pricing structure was also short of exciting, starting at $24.99, or 6 bucks more than Apple’s cheapest in-house USB-C to Lightning solution. Unsurprisingly, another veteran of the mobile accessories market jumped at the opportunity to beat Belkin to the punch. And the Ankerline PowerLine II USB-C cable with Lightning connector is now officially up for pre-order. With shipments underway on February 20, Anker has pretty much secured its place in the limelight ahead of Belkin. But undoubtedly the best thing about the new PowerLine II is that it starts at $15.99. That’s $4 lower than the price of a 1-meter Apple-made USB-C to Lightning cable, which is obviously not a massive difference. But it’s the number one reason “iFans” have been eagerly expecting Apple to open the door to third-party MFi-certified accessories like this for so long. Even cheaper USB-C to Lightning cables are most likely right around the corner, as more companies will join Belkin and Anker, ramping up competition in a seemingly small but important space. Keep in mind that Apple’s past two generations of iPhones technically support fast charging functionality, requiring however one of these cables to connect to a first or third-party power brick with enhanced capabilities. 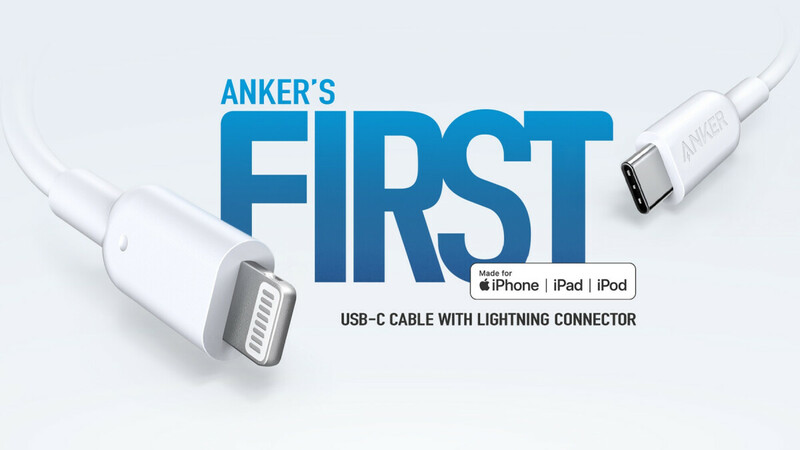 As Anker points out on the official PowerLine II product webpage, MFi authorization ensures “flawless operation with any devices that use a Lightning connector.” Apart from that, the company’s 3-foot cable doesn’t look special in any way, nonetheless claiming 12 times the durability of “other cables”, while shipping with a lifetime warranty. Not bad for 16 bucks. If the rumors of Apple's next iPhones going to have USB-C, then any lightning cables, adapters will be obsolete. Think about it, even Apple's only piece of hardware that has a lightning port is their iPhones. All other devices from Apple have USB-C, including their latest iPads. Lightning needs to die.